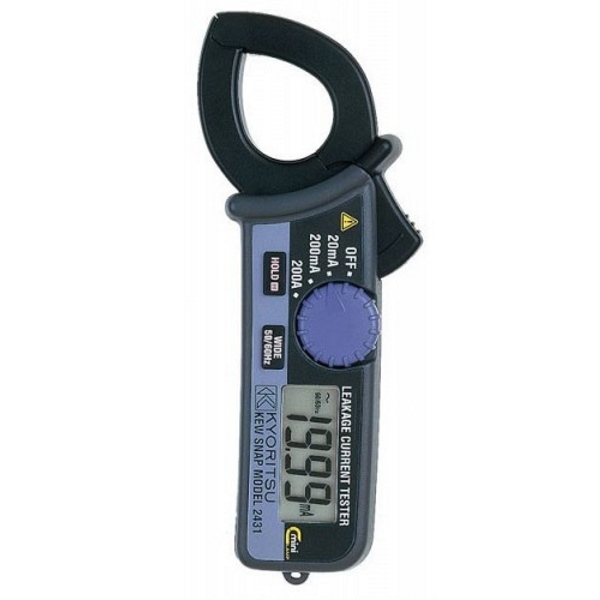 The Kyoritsu 2431 is a 200A AC clamp meter, capable of measuring current leakage. Comprising a 24mm jaw, the 2431 model is ideal for detecting wire faults and insulation breakdown. 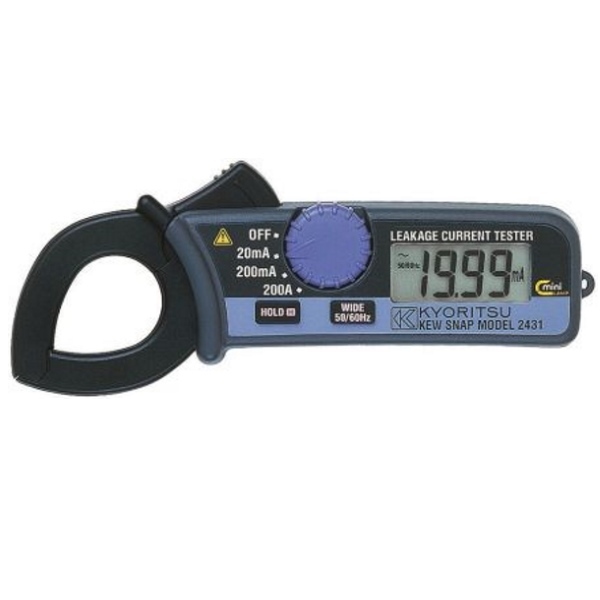 The Kyoritsu 2431 Leakage Clamp Meter has the the ability to measure AC current up to 200A across three ranges (20/200mA/200A). 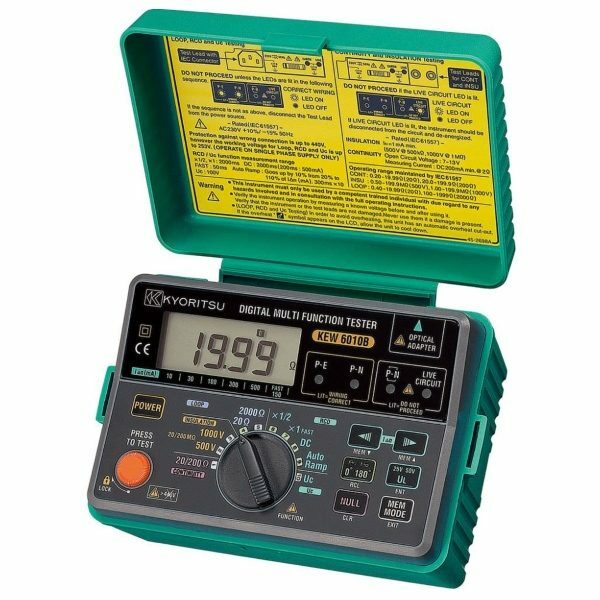 It features a frequency selector switch to eliminate the effect of harmonics and this provides a more accurate measurement, especially at the lower current measurements. 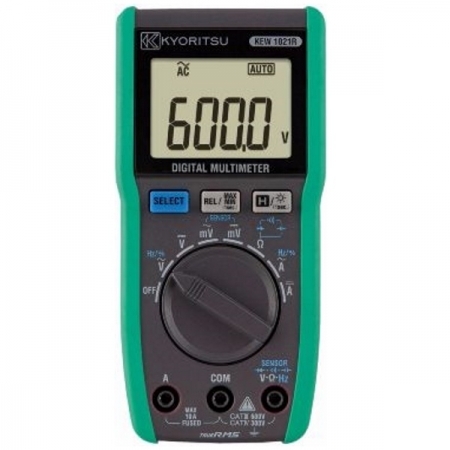 Although the Kyoritsu 2431 is a 200A AC clamp meter it is also able to measure leakage currents with it’s 20mA range. 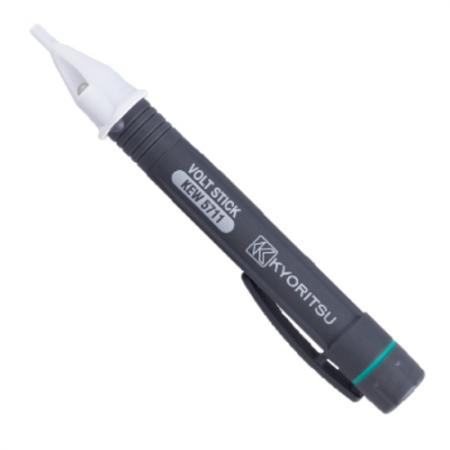 The Kyoritsu 2431’s 24mm jaw is ideal for detecting wire faults and insulation breakdown. 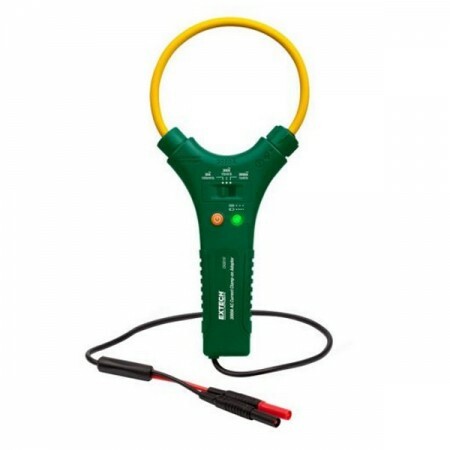 Featuring a 0.01mA resolution, the 2431 clamp tester provides accurate current readings. A rotary switch on the device allows easy-one finger power-on and range selection, allowing the user to test efficiently. 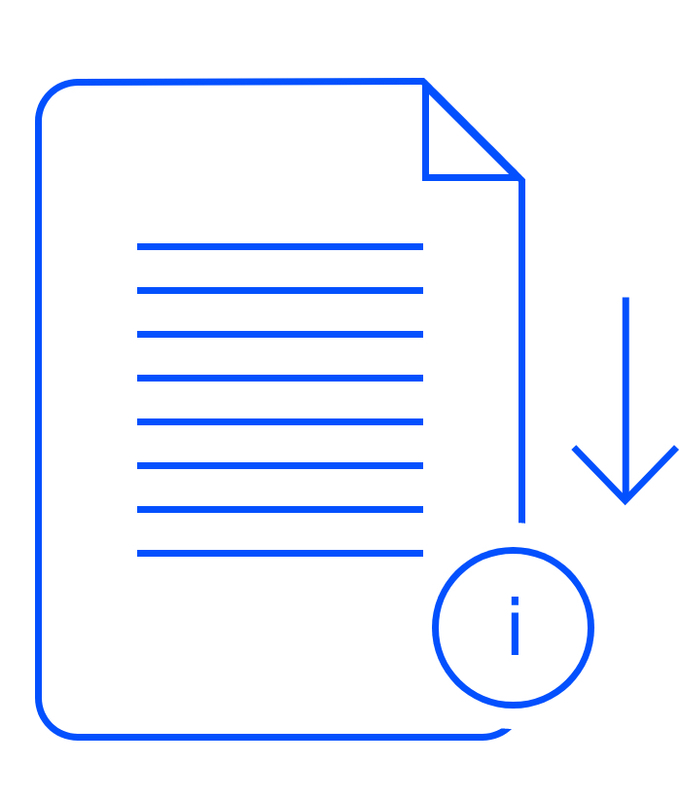 Standard Kyoritsu features such as the data-hold function and auto-power off are also included.